The legislation, co-sponsored and introduced on the House floor by Rep. Stafstrom, passed the full General Assembly earlier this year and proponents say this pro-business legislation will provide a comprehensive update to the state’s existing limited liability company ("LLC") act. The law makes Connecticut’s LLC Act consistent with best practices in other states, streamlining administration, reducing costs and providing predictability across jurisdictions. In addition, the law clarifies the rights and obligations of members of LLCs, establishes clear default rules for internal governance, and adopts a more user-friendly format. “Many of our state’s hard working small and medium size business owners protect their family’s personal assets through use of a limited liability company,” Rep. Stafstrom explained. “By enacting this much needed update to our LLC statute we can provide greater clarity for those owners and those doing business with an LLC." “I am pleased to have worked with the CBIA, the Connecticut Bar Association and other stake holders to advance this important legislation which will help businesses grow and thrive in our state,” Rep. Stafstrom said. 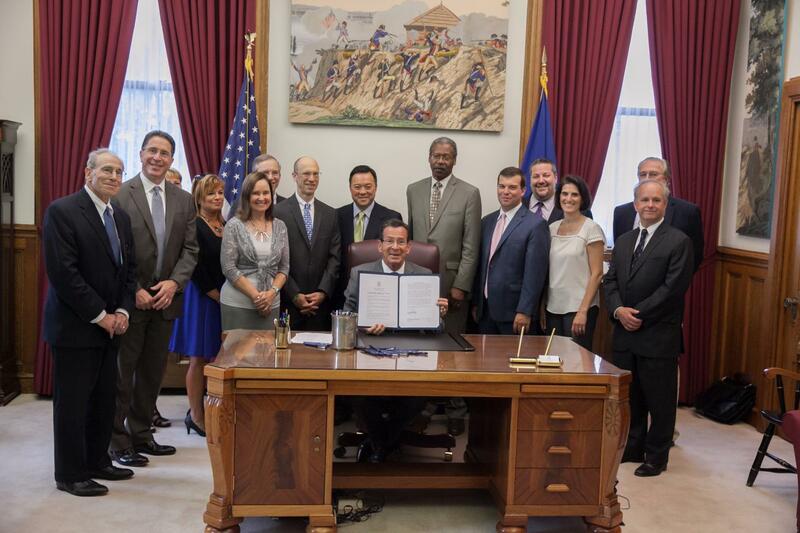 “The bill signing ceremony appropriately focuses attention on the importance of our business community and I thank Governor Malloy for his support of the bill."